Designed to look like a conservative school pin or an understated tie tack, you can now show your support for the FSF and the GNU project even when you're wearing a suit and tie! Presenting our understated black and gold GNU Emblem Classic Pin. 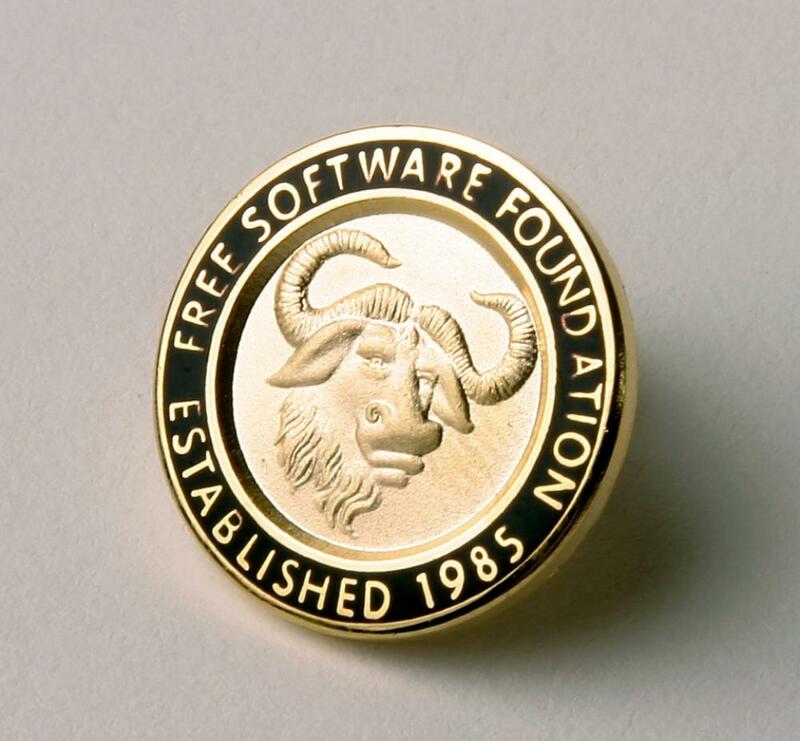 This pin is a great way to show your software freedom pride, even if you happen to work someplace where you can't wear that FSFS t-shirt to the office.